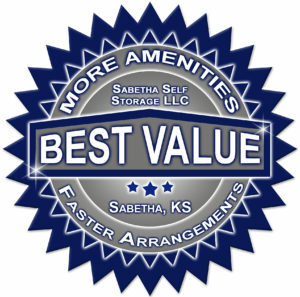 self-storage options are the proven & preferred way to economically manage most storage requirements. Being easy, affordable, and effective are the main reasons that self-storage options are so widely used. Know and understand any special storage requirements for all items being stored. Follow storage directions, and do not attempt to store items that are not appropriate for the storage facility. Be careful! Use caution when moving any item, and locate proper help & lifting equipment as needed. Always use proper lifting & moving techniques. be sure to disconnect the batteries. items or the storage facility. attract insects and rodents such as food items, and be proactive with pest prevention measures. unit to determine the actual size. 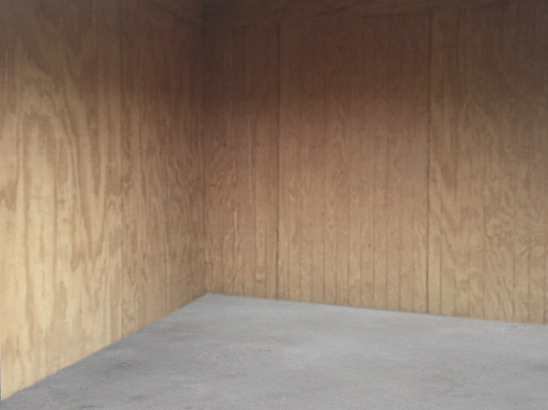 If you will need regular access to items in the rear of the storage unit, you may want to arrange your items with a clear passage way to the rear of the unit. Large items are often best stored in the back of the space to keep from blocking front access. Heavy items are best stored on the bottom, and do not stack items that are not well suited for stacking. As items are stacked, be sure that the bottom items can handle the weight of the items that are being stacked on top and that they are stacked securely. Use extra caution after items are stacked. Opening doors, inspecting, and moving stacked items increase the exposure to possible falling objects. With boxed items, it is best to use good quality boxes or containers, close the lid, and seal them as tightly as possible. Fragile items must be well packed and boxed, and anything containing fragile items should be clearly labelled & stored securely. Take advantage of empty space within the items being stored. Furniture & appliances often have internal areas available where smaller items can be stored with an increased level of protection. spacer blocks, or other means because all concrete floors may become damp occasionally. If pallets are needed, you can ask the facility operator to determine if recycled pallets are available at the storage facility. to help to shield items from possible dust and moisture. Consider disassembly or partial disassembly of items fit to be disassembled to make handling and storing easier. Properly protect against sharp or pointy objects. Cover and protect all surfaces that may be damaged by contact. Inspect your stored items regularly and make adjustments to your storage methods as needed. Note: Although this is not a complete list of all precautions and directions, the list is intended to provide points that can help you to create successful self-storage procedures. Whether you need a mini storage locker or a large storage unit, we can help with all of your self-storage needs. 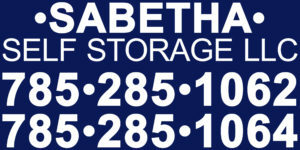 Content copyright of Sabetha Self Storage, LLC. All rights reserved.